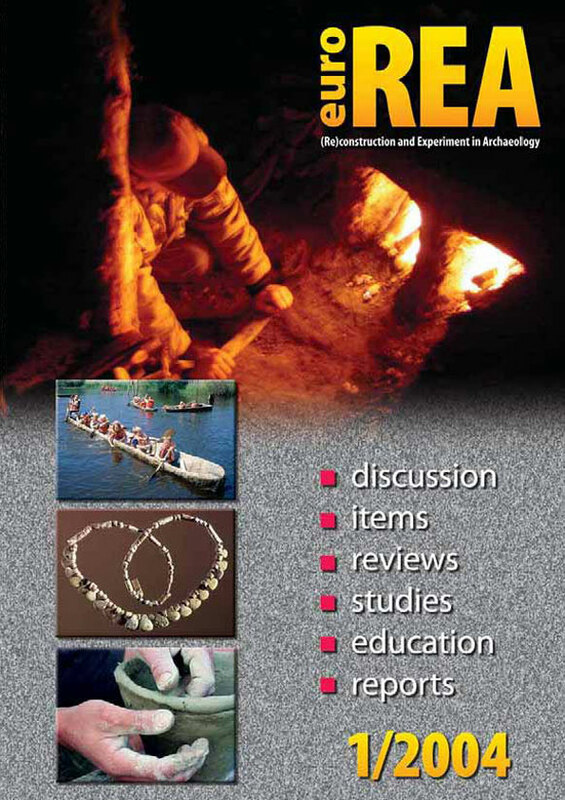 It was in the year 2000, an active Czech network (Society for Experimental Archaeology SEA) first published a yearbook on (re)construction and experiment in archaeology. In the same year, elsewhere in Europe, first steps were made towards forming EXARC, an international – European – network on Experimental archaeology, archaeological open-air museums, education and living history used in these centres. Almost 5 years have passed now and the different museums, organisations and individuals working with these themes have had a fruitful cooperation, both locally and internationally. The Czech yearbook of SEA became more and more wanted by other Europeans, but the information was mostly inaccessible – even though articles were summarised in 3 languages and published on the Internet. Ever more foreign contributors found their way to publish in the Czech Republic, but the need was felt for serving the larger public. As – up to this moment – there is no good alternative accessible to all European colleagues, the idea took shape to “go European”. EXARC – the second partner in this cooperation – actually is a network of about 35 members across 15 countries. Started as a grass root movement, EXARC is fostering quality in archaeological presentations in open-air centres. Over the past years, EXARC grew from being an informal network to an established platform. It is in this development; new communications like this yearbook are a great step forward. Both SEA & EXARC are proud of setting up a new mouthpiece for those working in the fields of (re)construction and experiment in archaeology. We share the need to inform, to counter the isolation of our activities and consequently to not reinvent the Wheel time and time again. In the past, many articles on these subjects were published scattered across different archaeological journals or other channels. A fast count delivers more than 6,200 titles. We hope, this yearbook will channel the interest of those involved in experimental archaeology and education in the field, at universities, open-air museums, living history groups et cetera. EuroREA is not meant for specialists only but for anybody interested in prehistory and the Middle Ages.